If you are like me and you love to customize your smartphone (you’ll achieve much more customization features once you’ve rooted and installed a custom rom on your phone), you will find this theme very neat and classy. Ladies and gentleman, I present to you “Mianogen” theme, made by Recognized Contributor “tung91“. Please note that these screenshots are made on a Paranoid Android ROM, with a tweaked DPI – so you will not get the same scheme for status bar, settings, sms app but you will get the same great graphics look. I just help my friend to make a CM theme and he want to make it simple as original, but replace some stock resource with MIUI’s resource to avoid “boring” and change to my favourite color – blue …. maybe you like it too , or not , but i’m just sharing it here. 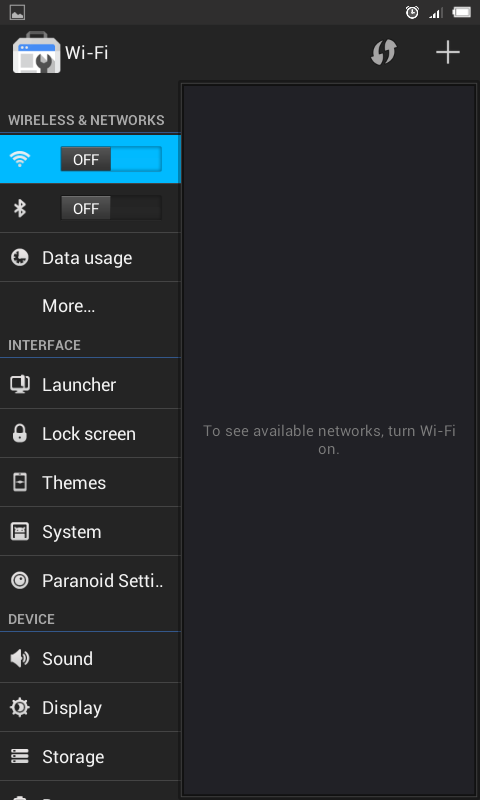 As you can see in the above screenshot, he made a clean black background with a blue line – to match the stock ICS/Jellybean theme. The icons from the status bar are simple but yet powerful reworked. I personally like the battery icon, it seems like one of the UCCW widgets made around the xda forums. 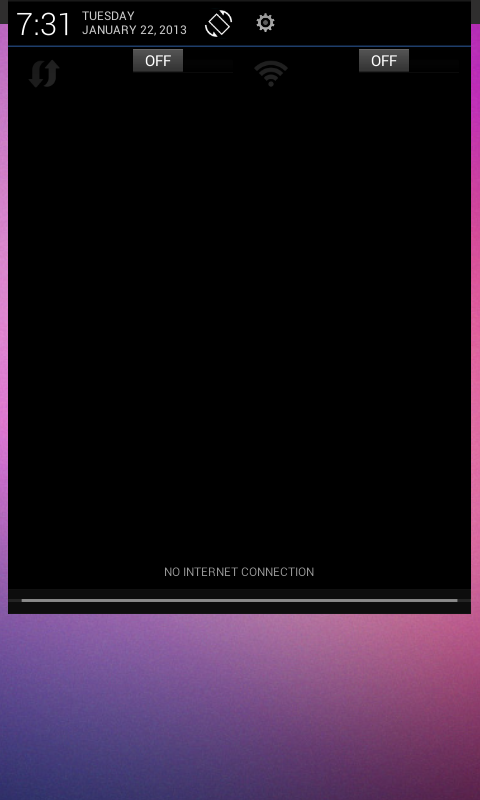 Please note that the status bar color is stock background color – which is BLACK, but as I am using PA rom, I modified the color to match more with this theme. You’ll probably tempted to say that this theme has nothing gray in it. In the next screenshot you will see pièce de résistance! The background of the Settings application is just beautiful! It matches so well with the JFK Icon, blue lines and with the small icons that are featured for every single setting you can make for your phone. Let me tell you something. I am a custom ROM lover from around 2009. All my smartphones we’re rooted and boosted with custom ROMs in first two-three weeks, so I installed a lot of Themes for CM7/CM9/CM10 and I was yet to find one that I would keep for more than one week. But this theme captured me in its simplicity that I am amazed I was not temped to move to another one. Indeed, you can bring a lot of arguments, there are a lot of themes and you can easily find the one you like the most, but for me, this is the right theme to go with if you are into minimalistic stuff. There is also a PAID version for this theme if you want to support the developer – it can be similar with the free version or it can be slightly modified. Also, Tung91 is so nice, that he made also a “paid” version – it is a link to his paypal account and he stated that you can buy the theme with your own price. You pay how much you want, he receives the payment and he will provide you a download link for the paid version. Pretty great if you ask me. The reason for this “pay how much you like” action is that, he wants to raise money to buy a One X phone. So go check this theme, here on xda forums and if you really love it as much as I do, please do pay how much you want to support the developer who is actually paying a lot of time and resources into making your favourite smartphone to look sleek. This theme was proudly presented to you by DroidVoid team, until the next time, Flash’n’Customize, my friends! 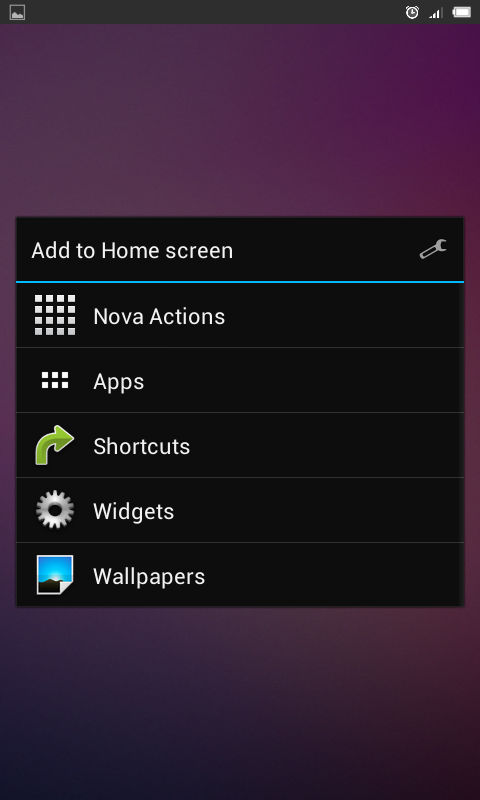 Here is the first screen of the day (SoD) featured on DroidVoid. Wallpaper Charley Atwell (which was added to his post, see the details link above). As you can see, there’s nothing too fancy in this screen, except the fact that it has a very clean minimalistic look alongside with a beautiful view (obviously everyone’s looking at those mellons). It is made using the Nova Launcher with a 6×7 home grid + dock enabled where kzimir2 has dropped 4 Suave HD icons: calls, browser, messaging and camera. ROM used was PACman with the color for the status bar as transparent. Congratulations once again to kzimir2 and hope to see you next time on Screen of the Day here at DroidVoid. Have a screenshot you want to share? Leave us a comment in the comment’s section below! I think it is fair to say that we all heard of Android by now, sure as hell we already know what Google is and its products. From the world’s #1 Web search engine to world’s #1 OS for smartphones in just a couple of years. ANDROID! Android is a Linux-based operating system (OS), originally developed by Android, Inc. – a company which was later on bought by Google. The first Android phone was sold in October 2008, the HTC Dream. Android is an open-source OS, Google releasing the code constantly, under the Apache License. Android had a world-wide smarth phone market share, with 75% points, back in 2012, with 500 millions devices activated in total. Android, Inc. was founded in October 2003 by Andi Rubin, Rich Miner, Nick Sears and Chris White. Google took Android, Inc. into custody on August 17, 2005. Key employees of Android, Inc. remained at the company. Major releases are named in alphabetical order after a dessert or sugary treat (i.e version 1.5 was Cupcake, 1.6 was Donut etc.). First version of Android was 1.5 a.k.a Cupcake. Current version of Android is: 4.2.1, the very well known “Jellybean”. Our team consists in Android enthusiastic fans, who are daily at the task to enjoy what Google created at first, but carried on by millions of people all over the world. We are requesting all passengers to join us as we discover the Android experience at its finest!